Normally, when there's an accident and investigators say "speed was a factor," we roll our eyes. Of course going 130 in a 35 was a factor. 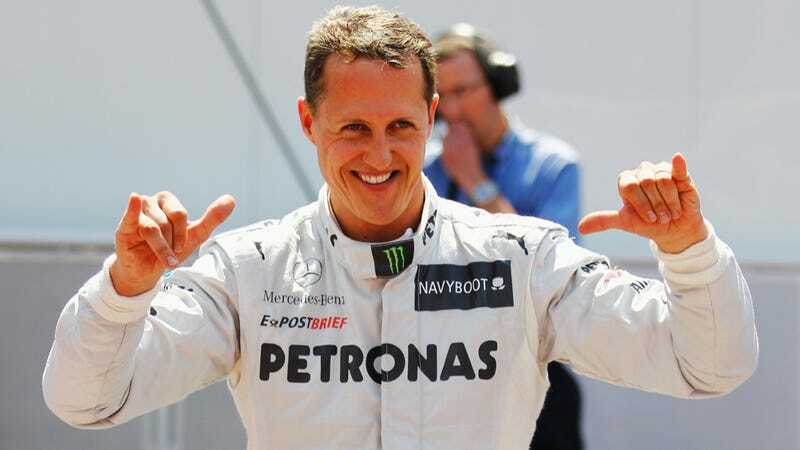 But in the case of Michael Schumacher's ski accident, speed has not been blamed for the crash that has the seven time F1 world champion in an induced coma. In Schumacher's case, it seems that speed was not a major factor in the crash that resulted in life threatening injuries. Instead, it appears that it was a perfect storm of circumstances that led to his fall and subsequent crash against a rock. Investigators said that he wasn't very far off the trail, maybe just a few hundred yards, when the incident occurred. They also doubt that there was a bystander that took video, as has been rumored. I heard people talk about a film that was taken by a witness, but we have not received anything from this person. Personally, I doubt that really it exists. Schumacher is still in the hospital in Grenoble, in critical but stable condition in an induced coma.